In android, a SeekBar is the extension of ProgressBar. User can touch and drag to left or right to select the correct value. To control the event handling method for SeekBar you have to use seekBar.setOnSeekBarChangeListener(………….). 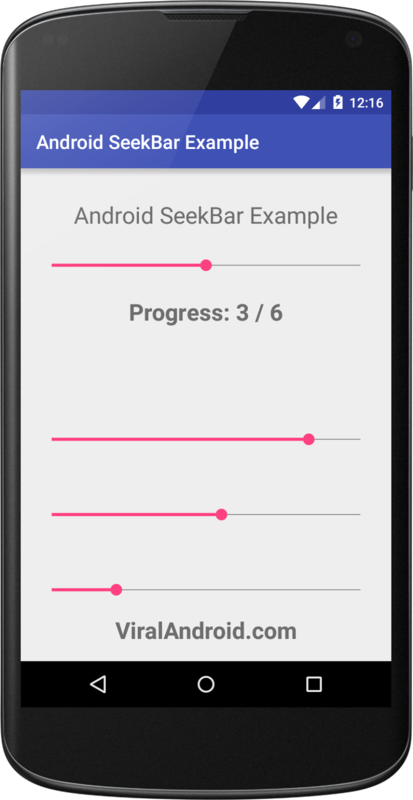 In this tutorial, I am going to show how to use seekbar in android application. Following is the simple SeekBar example. That’s all. Now, run your application which looks like output given below.